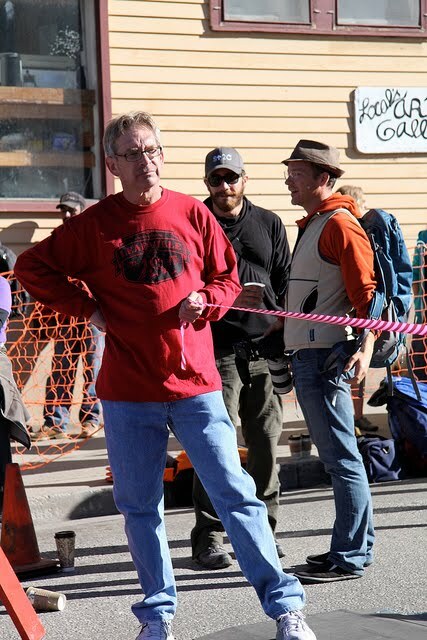 New Leadville pics from blogger/runner extraordinaire Brandon Fuller. 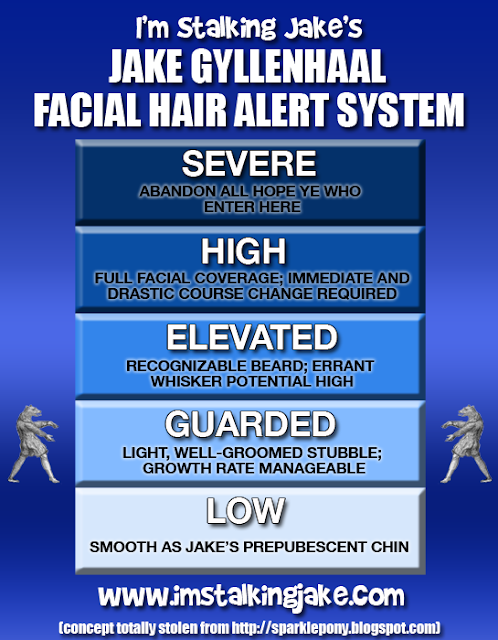 (Who is no doubt laughing at all the hits his blog keeps getting from Jake sites.) Photos are Brandon's, all rights reserved. He should've used that phone he had with him (clearly depicted in photo 1) to CALL ME TO NOTIFY ME HE WAS IN TOWN. Its okay, Jake. I know we haven't gotten all ESP in our non-existent relationship. Here's hoping next time you'll get the message. At least next time I might know to send one! 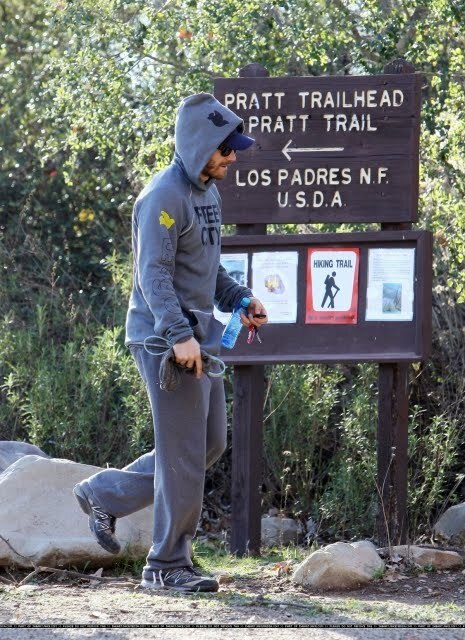 Sidenote: Being that I'm familiar with Colorado climate, I find it quite remarkable Jake is able to tolerate said environment with BLACK full-length clothing and FULL BEARD. Now that's a man, ladies and gentleman!! 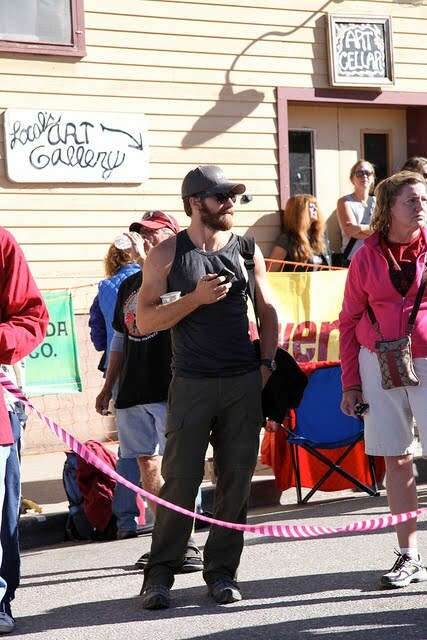 PSS-I got all excited thinking about how his big tan arms and the black fabric of his tank top would've felt had I actually gotten to meet him. Its been simulatenously healing and torture-some. I'm laughing so hard right now!! Art and Pratt are my new heroes!! Katie, you're a crack up! Well placed arrows are genuis!! This is completely irrelevant to the post, but I have to share it with someone and who better than fellow Jake fans? Haha, love the reference to the unabomber again, he just works that so well, doesn't he? I bet that Brandon guy's blog has gotten a ton of hits! heehee... Jake's fans are THE best. So many great comments, guys! Love this today, after already having a hellacious morning at work, I needed a good laugh. & OMG, CigarettesAndCoffee, I do believe I would have felt the exact same if I had seen that too. I really am wanting to have a BBM night soon, I do believe, & I know I will go thru a box of tissues, but I have been thinking about it alot since we got that Portuguese interview translated. KeepCalm - EXCELLENT JOB!! Not that I had any doubt. 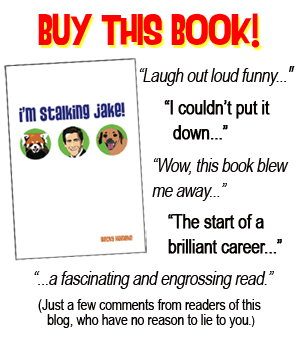 Jake fans are smarter than average by their very nature... ;) Congratulations! Sasha and CigarettesAndCoffee - Two PRIME of examples of Jake being everywhere, though on very different ends of the emotional scale. 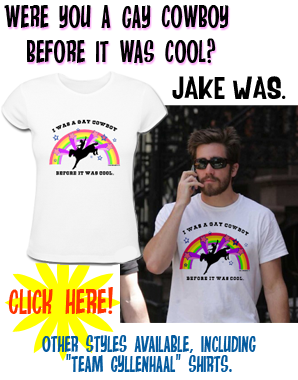 Hats off for enriching your lives with Jake-related associations.